More about the mysterious “Mr. X” shortly. But first, who is Mr. Patrick Pesnot? In this offering, the author has compiled biographies of some twenty secret agents, representing well-known intelligence organizations such as KGB, CIA, MI6, and Mossad. These espionage activities occurred in the United States, Vietnam, Europe, and the Middle East, featuring such infamous spies as Alger Hiss, Klaus Fuchs, Kim Philby, Oleg Penkovsky, and Aldrich Ames. As a Vietnam-era veteran, I was especially intrigued by the bio of one man, of whom I knew little. It covered the exploits of Phạm Xuân Ẩn. Born in 1927, Phạm Xuân Ẩn was a Vietnamese journalist and correspondent, stationed in wartime Saigon. After studying journalism in the United States, Ẩn, joined the cream of the Saigon press corps with the aid of the South Vietnam’s intelligence director, Dr. Tran Kim Tuyen. In fact, Ẩn became a legend among the foreign correspondents based in Saigon. He was the source that correspondents used for information and analysis of the situation in Vietnam. Only many years after the Vietnam conflict ended did it come to light that Ẩn really served different bosses, Hanoi and the Viet Cong. Pesnot provides details of Ẩn’s early life, when he joined the Viet Minh in 1944 to fight the Japanese and the French occupation, and later the National Liberation Front (Viet Cong). The author relates how some of the intelligence Ẩn provided to the VC and Hanoi seriously impacted the outcome of several significant battles. There’s no doubt that Ẩn was probably responsible for the deaths of many South Vietnamese and American soldiers. But Pesnot also provides insight into how, as the fall of Saigon became imminent, Ẩn saved his family and a South Vietnamese friend from the North Vietnamese army—a complicated figure, to be sure. Around the time that Phạm Xuân Ẩn was serving his masters in Hanoi, two legendary agents were providing intelligence for the Mossad, Israel’s secret service agency. 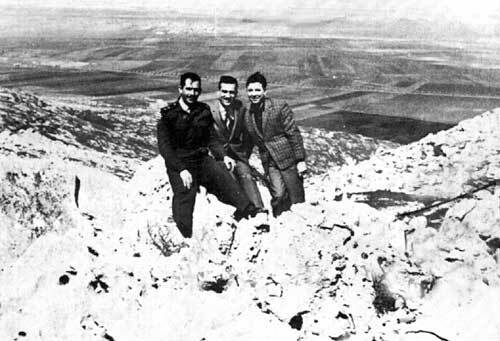 Both spies were extensively trained for their deep-cover missions, with one, Wolfgand Lotz, assigned to Egypt and the other, Eli Cohen, secreted in Syria. One was caught and imprisoned while the other paid the ultimate price for his country. Wolfgang Lotz was born in Germany to a Jewish mother. In 1933, as times became dangerous for German Jews, Wolfgang and his mother emigrated to what was then Palestine, and Lotz adopted the Hebrew name, Ze’ev Gur-Aire. In 1936, at age 15, Gur-Aire joined the Zionist paramilitary group, Haganah, thus beginning his service to the future State of Israel. Gur-Aire served with the British in Egypt during WWII, where his language skills were put to use in interrogations of German POWs. After the war, he joined the Israeli Self-Defense Force, where he served admirably until the late fifties. That is when Mossad came calling. They had a most important mission for Gur-Aire, who would become Wolfgang Lotz again. Pesnot tells the story of how Germany was both antagonist and protagonist in this intrigue between Egypt and Israel: The Mossad helped Lotz set himself up as a former Wehrmacht officer and ex-Nazi who was opening a riding club in Cairo. Lotz’s mission was to befriend a group of German scientists working on Egypt’s missile technology and report on the military and defense industry. He succeeded, to a degree—eventually a wireless set hidden in a bathroom scale gave him away (according to his biography, The Champagne Spy). He was imprisoned in Egypt but was freed in a prisoner exchange after the Six-Day War. About the same time as Lotz was being prepped and sent to Egypt, Eli Cohen was receiving training for special insertion into Syria. Cohen was born to a Syrian-Jewish family in Alexandria, Egypt, in 1924. He was educated in Egypt and then became involved with the Zionist underground there, working to help Jewish families escape to Palestine, his own family included. He was also suspected of conspiring with a group of Jewish-Egyptian saboteurs who were bombing U.S. and British targets, with the goal of poisoning relations between Egypt and the West. Cohen remained in Egypt until growing repression against the Jewish community there forced him to escape to Israel in 1956. After being rejected by Mossad, Cohen worked as an analyst and interpreter for the Israeli government—that is, until Mossad, in search of a very special person, reevaluated Cohen’s application. Cohen joined Mossad and was taken in hand by Yitzhak Shamir, the future Prime Minister. Shamir spent many months personally training Cohn for his mission to Syria. The author explains how Cohen was such an excellent candidate for the mission, how he became Kamel Amin Thaabet, Syrian businessman, why his mission began in Argentina, and how water, more precious to Israel than gold, was at the center of Cohen’s mission. Controversy swirls even today about Eli Cohen, who is considered one of Israel’s greatest superspies, and who gave his life for the intelligence he gathered. The Syrian secret police arrested him in 1965, after Soviet experts discovered his transmissions to his handlers. He was interrogated, tortured, and hanged on a Damascus public square. 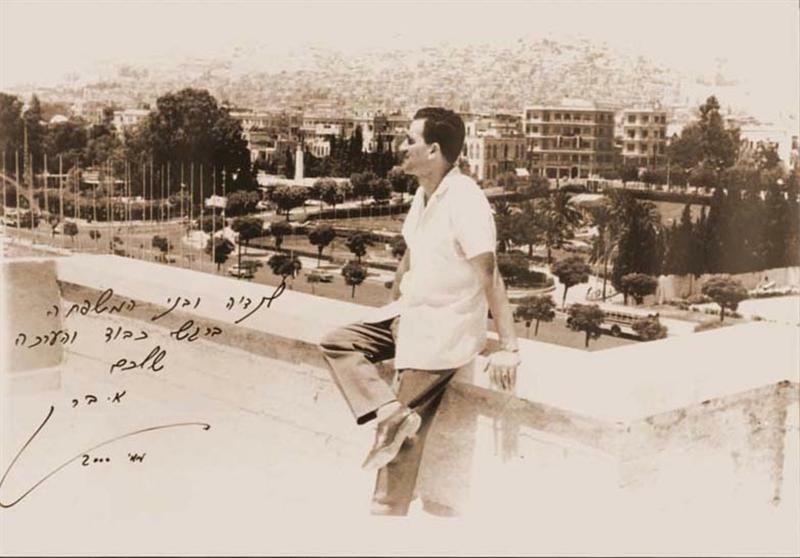 According to the Jerusalem Post, the Syrian government was so intent on preventing the Mossad from retrieving his body for a hero’s burial back home, they secretly exhumed and reinterred him multiple times. The author also presents the story of one woman, Gabriele Gast, who was lured into espionage by the “Romeo” program, masterminded by Markus Wolf, the enigmatic direct of East German Intelligence (HVA). Wolf recognized that every senior official of the West German government had either a secretary or assistant, usually a woman, who had access to the same intelligence as their bosses. Wolf reasoned that some of them could be turned, so he trained and sent his “Romeo” agents after them. Born during WWII, Gast grew up in a very conservative environment in West Germany. She became a brilliant political science student and an assistant to Klaus Mehnert, a professor of Eastern European studies who was probably associated with West German intelligence. No doubt, this relationship with Mehnert put Gast on HVA’s radar as a potential asset. The trap was sprung while Gast, with special permission, was allowed to do her thesis work at an East German university. It didn’t take long for Gast to meet Karl Heinz Schmidt, who claimed to be an auto mechanic. Gast had to be aware that she could be a target based on her position with Mehnert. But dazzled by the expert “Romeo” agent, whom she called “her Karliczek,” Gast never had a chance. Now successfully ensconced as an East German agent, Gast returned to Bonn and, surprisingly, was hired by BND, West German intelligence, as an analyst. Pesnot offers the reader an interesting discussion as to how “Romeo” agents were trained, how Karl Schmidt trapped Gast, and how HVA set up a network of agents to assist Gast in the gathering and transmission of intelligence. He further presents questions concerning Gast’s true allegiance. Was Gast truly an East German spy or was she perhaps a double agent? I found Pesnot’s work to be well organized and beautifully written, an excellent addition to the library of any reader who enjoys the histories of spies and espionage. This review, however, cannot be concluded without a comment about the mysterious Monsieur X, who the author, in his introductory notes, implies is a contributor to this work. For years there was supposition that Mr. X was either a former Soviet spy or perhaps even a former French intelligence agent. 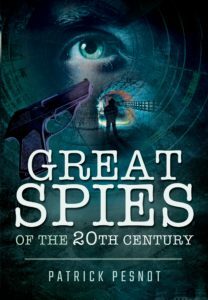 Great Spies of the 20th Century is available at Amazon.com.